Accepting a new employee to the company requires not only welcoming him to the organization but also helping him adjust to the work environment of his department. 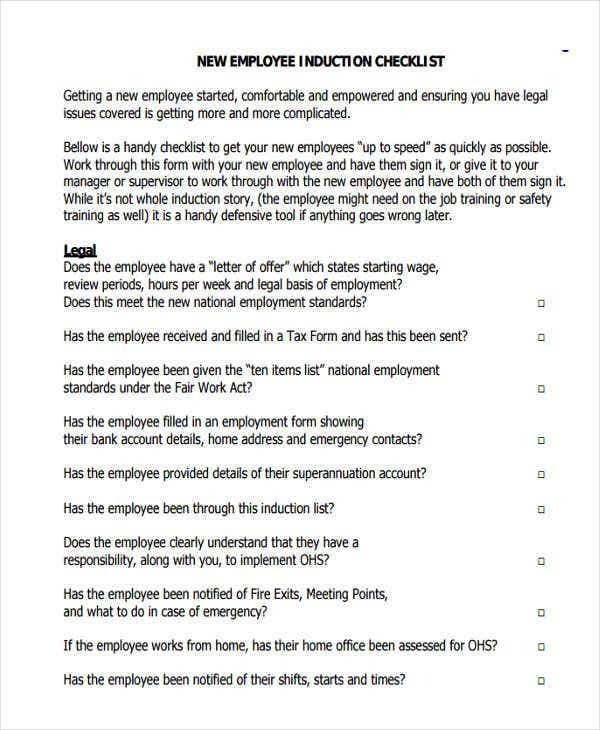 With this, an induction checklist procured by the human resource department is issued to each department with a new employee. A new checklist is made for each new employee as each tasks are carried out in different departments by different people. 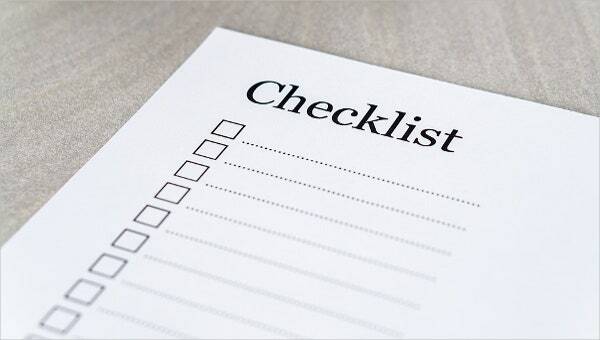 The uses of checklist varies between business industries, but the benefit it gives to the individuals using the checklist are similar. 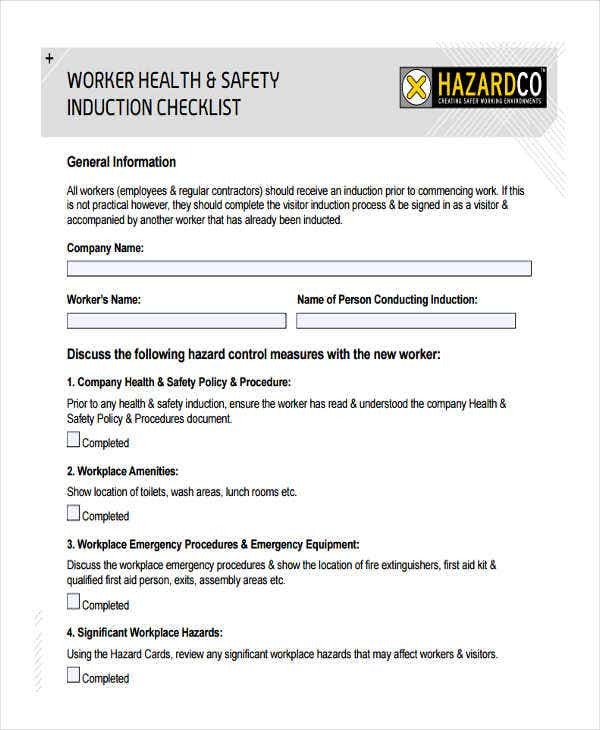 The following induction checklist templates provide various examples of induction checklists available in Word and in PDF formats. Start with the employment information of the starting employee. 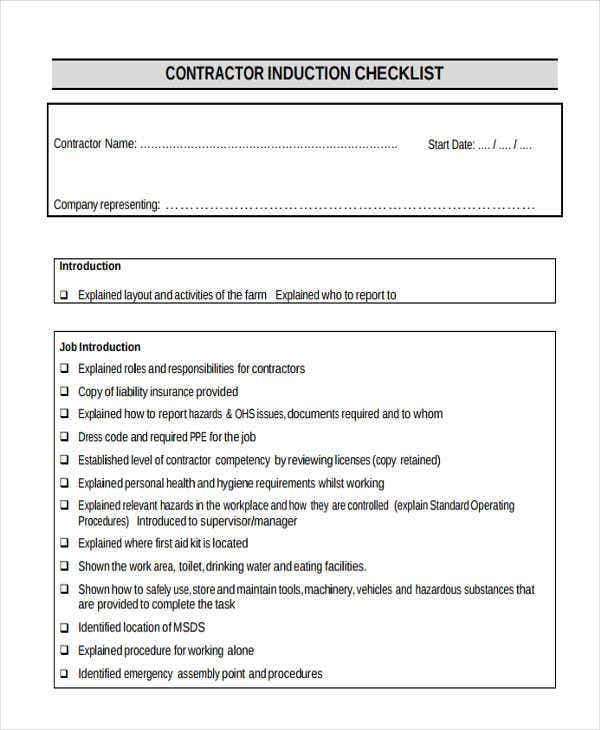 At the top of the induction checklist, type in the employee’s name and the position he was hired for. The start date of the employee is also included together with the induction completion date. Enumerate the procedure to be followed on the employee’s first day, first week, six months, and 12 months of work. 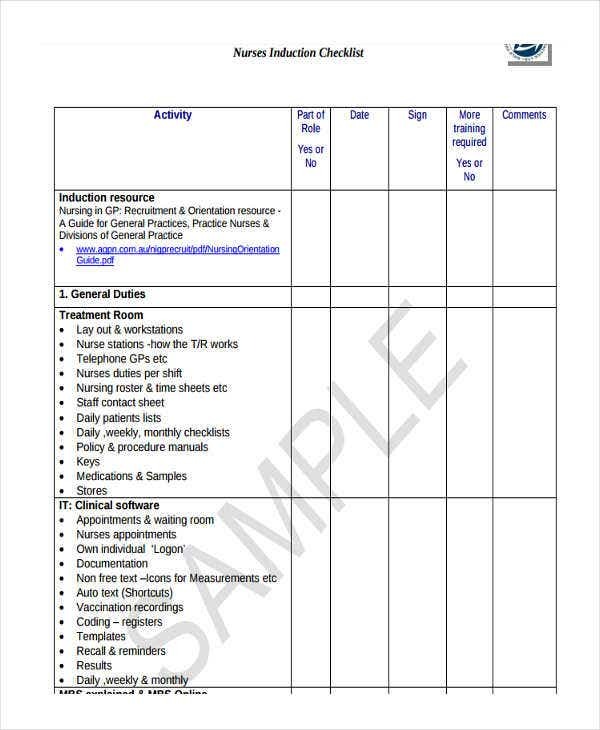 An induction checklist is similar to the sample child behavior checklist templates and audit checklist templates with regard to the format. 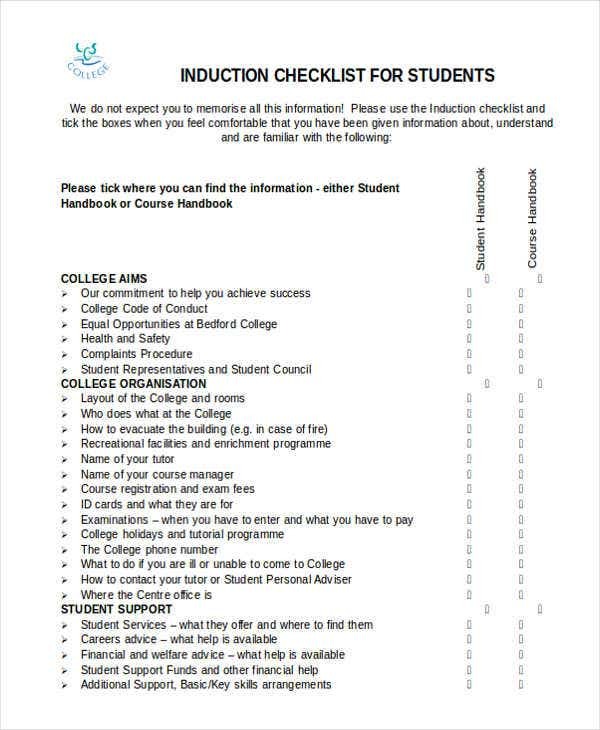 Questions and statements to be answered in writing are shown on the induction checklist rather than just statements and tick boxes. 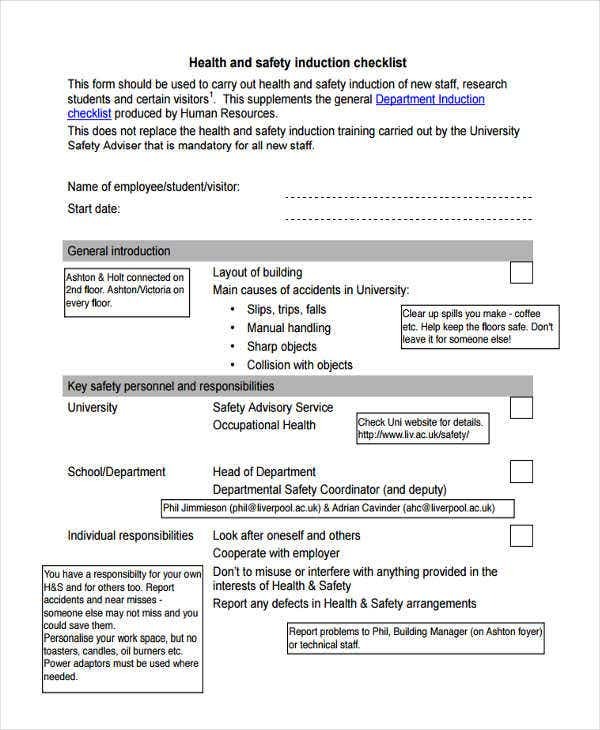 Indicate the person who carried out the tasks on the induction checklist. 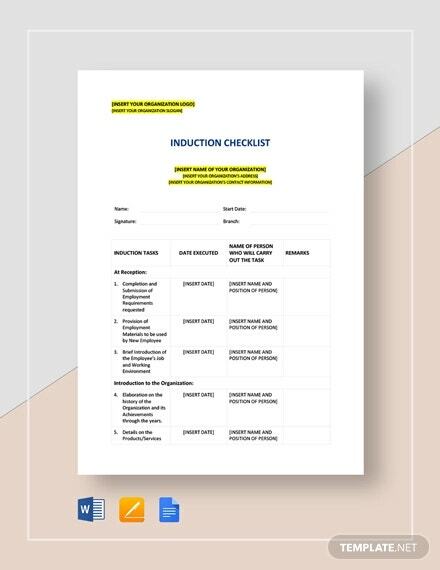 The outline of tasks on the induction checklist as you may have noticed on the printable checklist template entails assignment of different persons. The date the task was carried out should also be indicated beside the name of the employee who did the task. 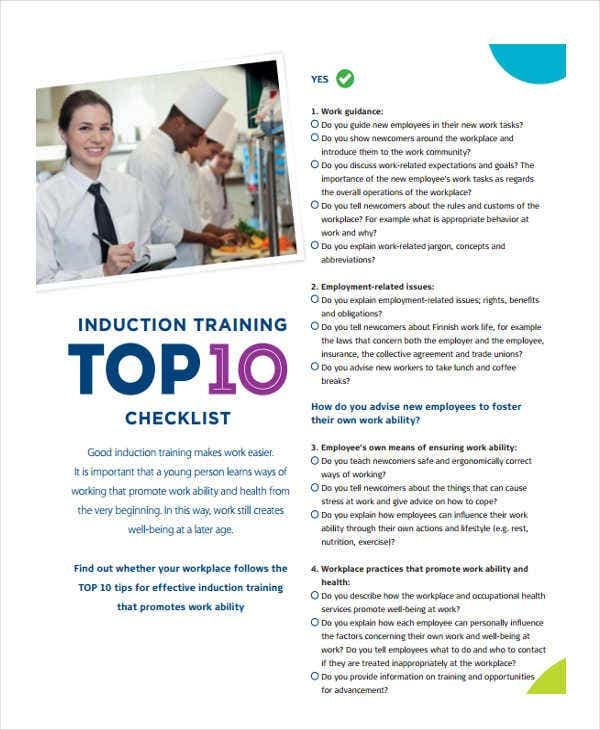 Use the induction checklist issued by your human resource department. It’s the responsibility of the human resource personnel to procure the induction checklist for each of the new employees. The checklist will be carried out by the line manager of the department the new employee is assigned to. Insert notes or comments on every task on the checklist rather than just check boxes. 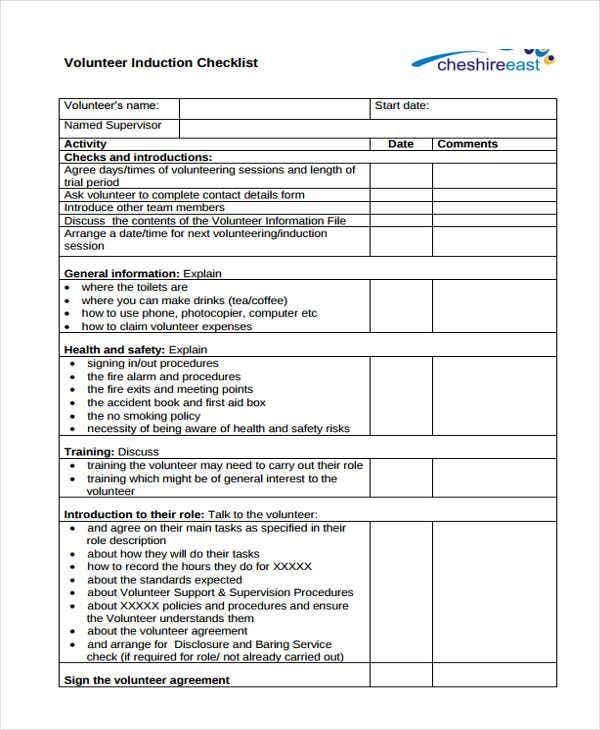 Aside from induction checklists being a guide to the personnel who carries them out, these checklists are also forms of evaluation on the new employee. 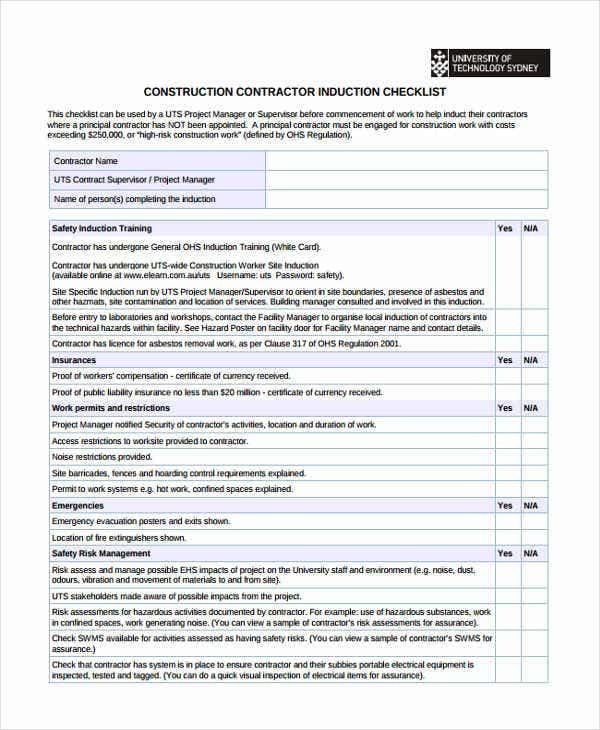 In this connection, it is essential to add notes or comments similar to the format on the maintenance checklist template sample. 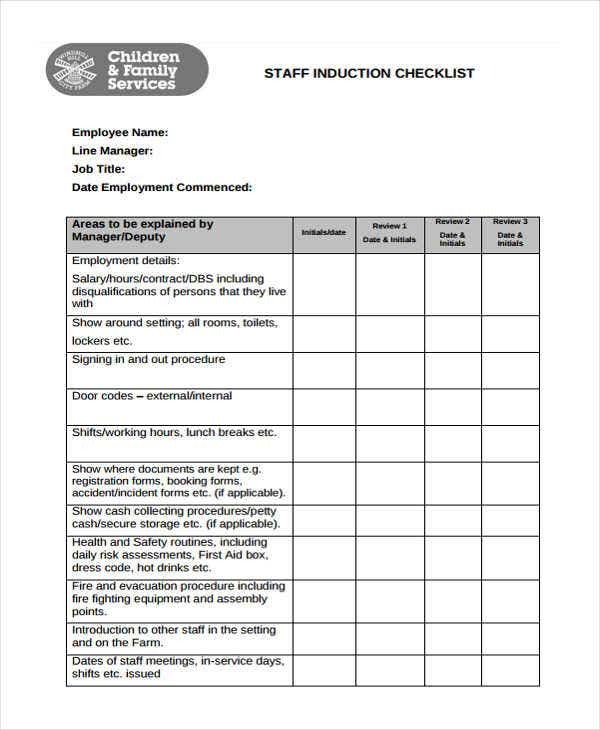 Induction checklists is an effective tool in helping the new employee adjust to his work environment other than having evaluation on the work of the employee. 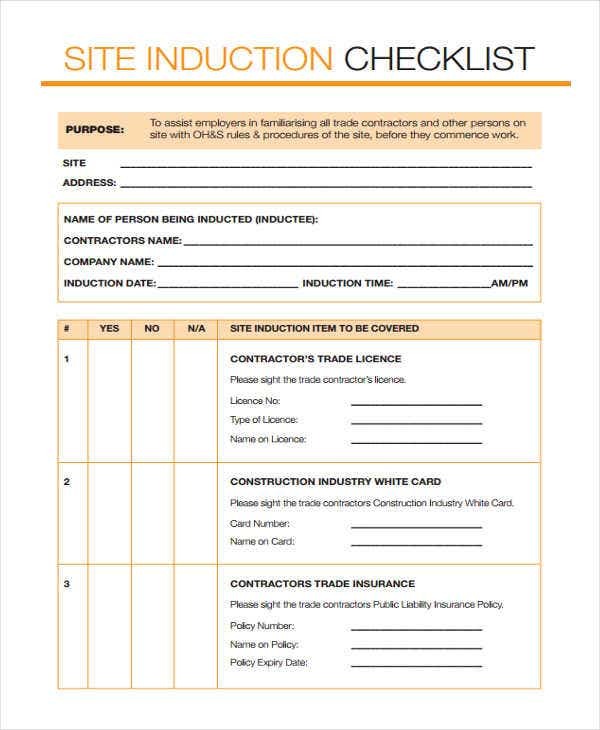 Take note that these induction checklist templates can be your reference for effective induction checklists you can use. These are available for you to peruse and to download in Word and in PDF formats.